How can I add a product collection to any page on Shopify? 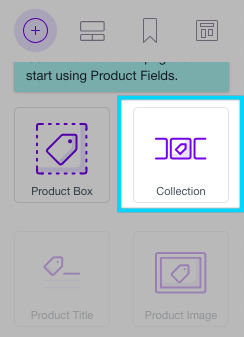 Use the Product Collection Element to Add a Collection to Standard, Blog, Product, and Other Collection Pages. You can easily add a product collection to any page using this element. In the right sidebar under "Elements" scroll down until you see the "Collection" element under "Shopify Product Fields." Then simply drag the element where you would like to place it on your page. 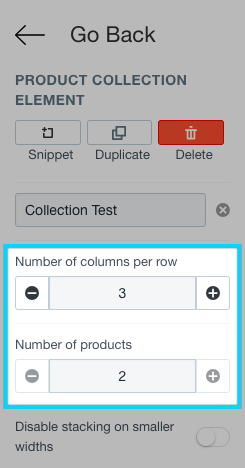 In the right sidebar you can then change what collection is being displayed, the number of columns per row, and the the number of products from the collection displayed.